Pharmacology, Toxicology and Biomedical Reports,2017,3,3,70-73. Department of Pharmacology, St. John’s Medical College, Bangalore, INDIA. Background: The duration one can apply energy to an activity is limited by stamina (endurance). Recent studies using extracts of ashwagandha (Withania) root powder, either aqueous or ethanolic suspension, have demonstrated a significant increase in physical endurance. Milk treatment enhances the potency of herbal preparations. Objectives: To evaluate the efficacy of milk treated root powder of ashwagandha as compared to standard preparation, in enhancing the physical endurance in mice, using swim endurance model. 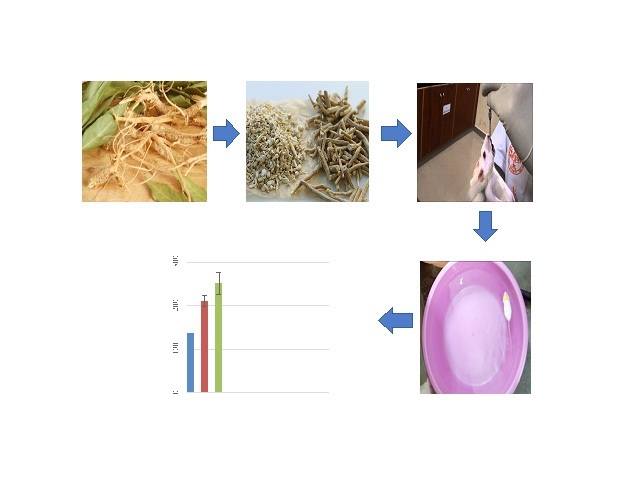 Methods: Male, Swiss albino mice (31 – 35 g, 6 – 8 weeks old) were randomized into 3 groups of 6 animals each : Control - Carboxy Methyl Cellulose 0.5%, Standard - commercial preparation of ashwagandha (100mg / Kg), test - milk treated ashwagandha root powder (100 mg/ Kg). Study drugs were administered per oral, once daily, for 7 days. On day 8, animals were allowed to swim in a propylene tank of dimension 40 cm x 25 cm x 15 cm, with water level at 25 cm. The animals were allowed to swim till exhaustion. The end point of swim endurance was when the mice near drowned. Results: There was a significant increase in the physical endurance in the treatment as compared to control .One way ANOVA (F (2, 15) = 13.000, p = 0.001), Tukey’s post hoc test of milk treated vs standard (p = 0.207) however, was not significant. Conclusion: Milk treated Withania somnifera was not significantly different as compared to the standard preparation, though it was better than the control.